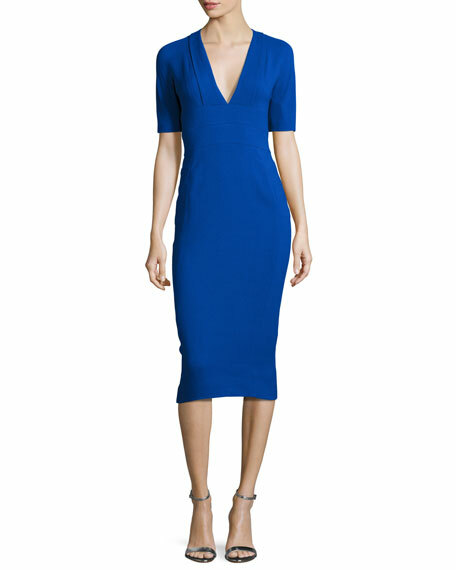 Narciso Rodriguez crepe dress with bandage-style seam details. Hem falls just below the knees. 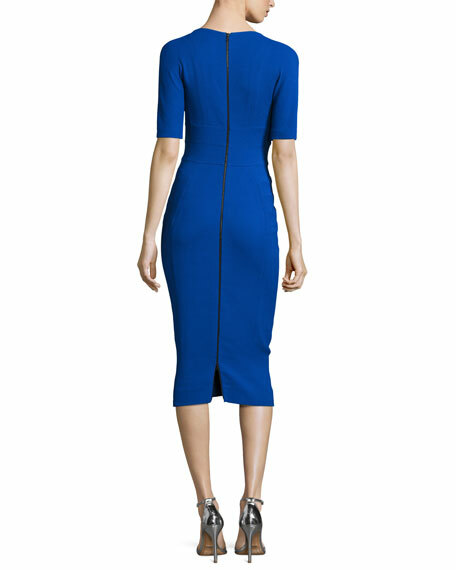 Sleek looks from Narciso Rodriguez have long been favorites of young Hollywood and in-the-know fashionistas. The designer honed his talent for ultramodern elegance while working at Donna Karan and Calvin Klein before launching his own line in 1997. His take on trends is always at the forward edge of fashion while maintaining all-important wearability. 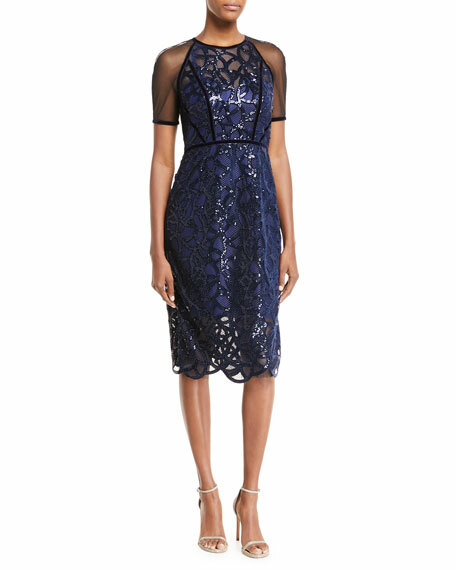 For in-store inquiries, use sku #1970399. 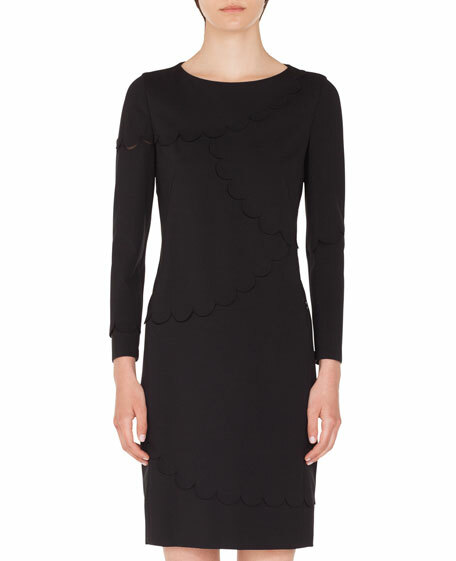 Akris punto sheath dress in stretch jersey knit, detailed with laser-cut Memphis scallops. Crew neckline. Long sleeves. Zip pockets. Bodycon fit. Back zip closure. Viscose/nylon/spandex. Acetate/nylon lining. Imported. 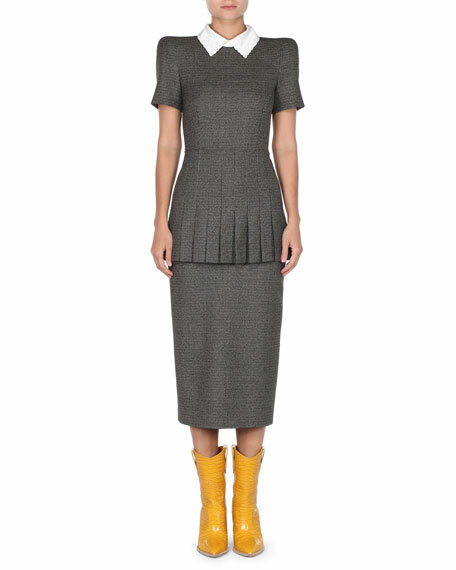 Fendi checked dress in fleece wool-blend. 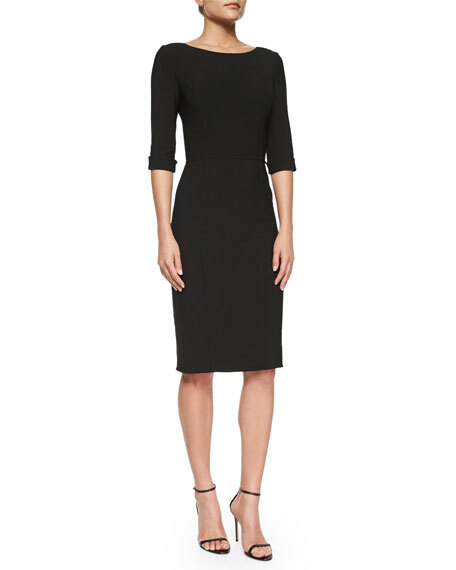 Removable, contrast collar. Strong shoulders. Short sleeves. Pleated peplum. Hidden back zip. Sheath silhouette. Midi length. Wool/nylon/spandex. Combo, viscose/cotton. Lining, silk. Made in Italy.